Problem Solvers dual cable Backstop. 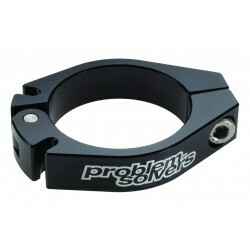 Problem Solvers Backstop Frame-mounted clamp-on housing stop. For use when installing internal hubs or linear pull brakes on frames lacking necessary housing braze-ons.